Jägermeister’s complex flavours taste best at minus 18 degrees centigrade or lower. However, consumers often overlook the “Serve Ice Cold” note on the back label, and, instead, store and even drink Jägermeister at room temperature, resulting in a subpar taste experience. Moreover, the bottle needs to be cooled intensively in the freezer to reach that perfect serving temperature. Instead of opting for a usual advertising campaign, which would tell consumers about the benefits of serving Jägermeister at such low temperatures, the problem was tackled at the most immediate point of contact: the bottle itself. 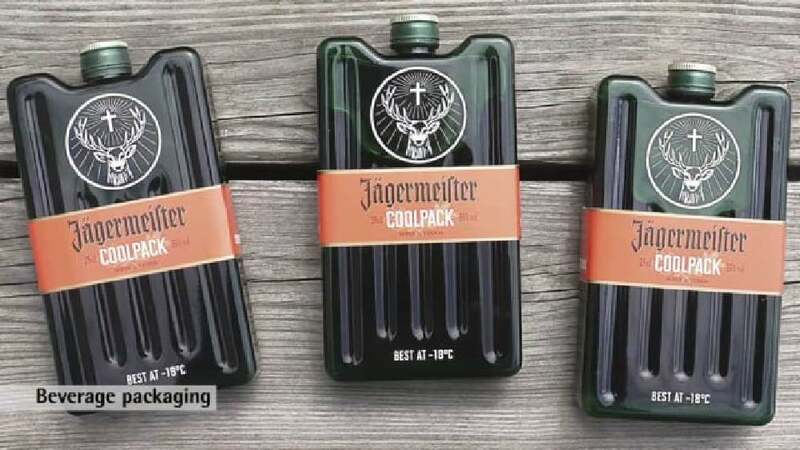 Therefore, an entirely new COOLPACK Edition was developed by combining the classic 0.25-litre Jägermeister bottle with the iconic shape of typical coolpacks. The packaging thus turns into the message, promoting the idea of “best used ice cold” all by itself. The innovative design, which uses the same kind of molten glass that is used for the original Jägermeister bottle, is distinctive and unique, boasting a literally cool shape, the message of which is intuitively understood by consumers worldwide. The new packaging design for Jägermeister pulls off an ingenious coup: in order to inform the young target group about the ideal serving temperature, the bottle was given the form and appearance of a classic coolpack. The packaging thus does not only serve to convey a message; it can also be used as a coolpack.